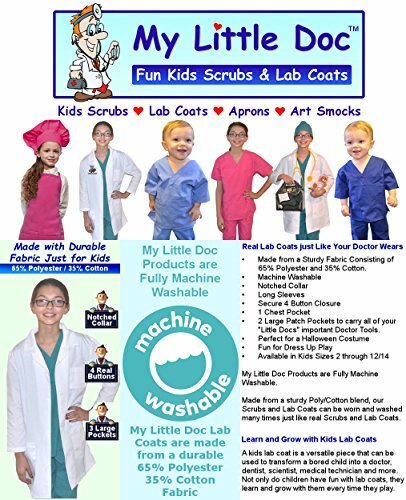 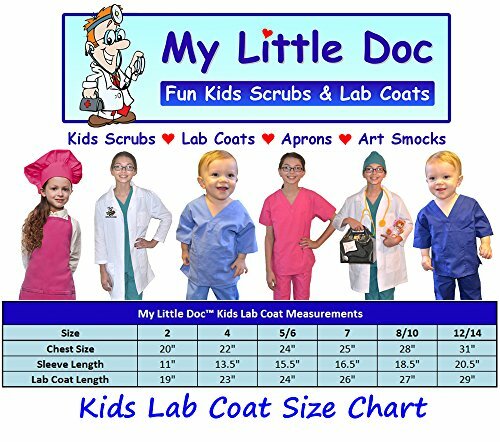 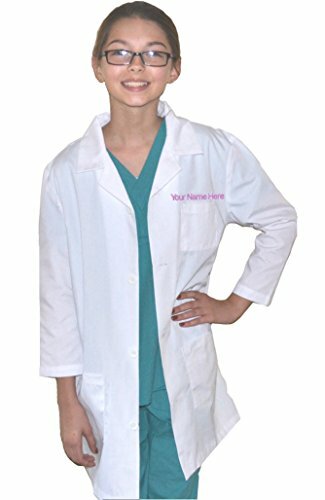 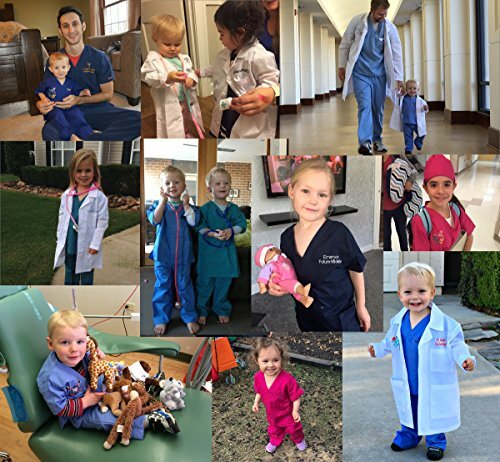 My Little Doc Brand Kids Lab Coats are not "Costumes" they are Authentic Lab Coats just like your Doctor wears. 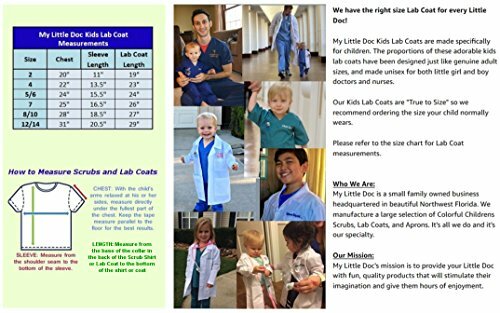 These coats are made from quality fabric containing 65% Polyester/35% Cotton and are fully Machine Washable. 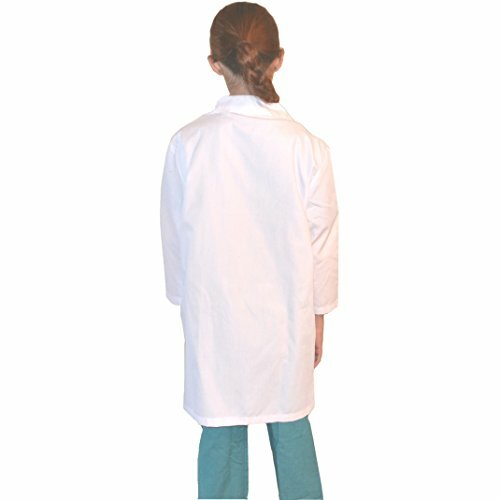 They have classic Lab Coat styling with one Chest Pocket and two side pockets.